When will be Unscrewed with Martin Sargent next episode air date? 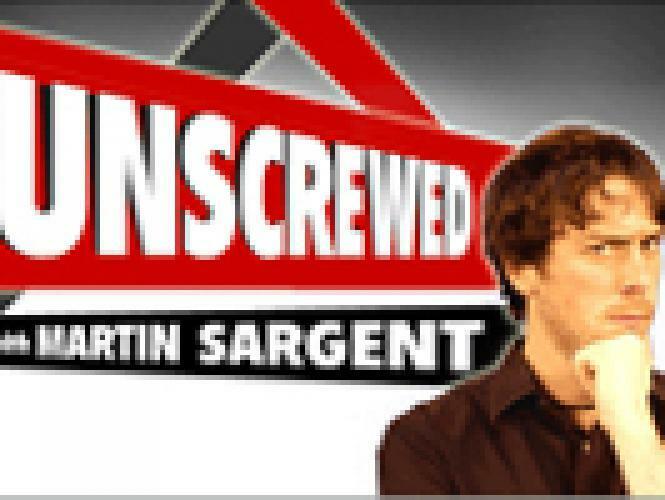 Is Unscrewed with Martin Sargent renewed or cancelled? Where to countdown Unscrewed with Martin Sargent air dates? Is Unscrewed with Martin Sargent worth watching? This show stars Martin Sergent from the G4/Tech tv show "Screen Savers" . Accompinied by his lovely assistant Laura Swisher they unvieled the scandelous world of technology one episode at a time. They weren't afraid of anything as they exposed the truth behind truths with many scandelous and daring interviews,segments, and field reports. They certainly pushed the boundires of television as they created one of the most funny, entertaining, and surprising shows in television history. EpisoDate.com is your TV show guide to Countdown Unscrewed with Martin Sargent Episode Air Dates and to stay in touch with Unscrewed with Martin Sargent next episode Air Date and your others favorite TV Shows. Add the shows you like to a "Watchlist" and let the site take it from there.